For every action there is an equal or opposite reaction.” For every choice you make there are rewards, or there are consequences. It was my choice to walk away the first time. And my choice to chase her the second. 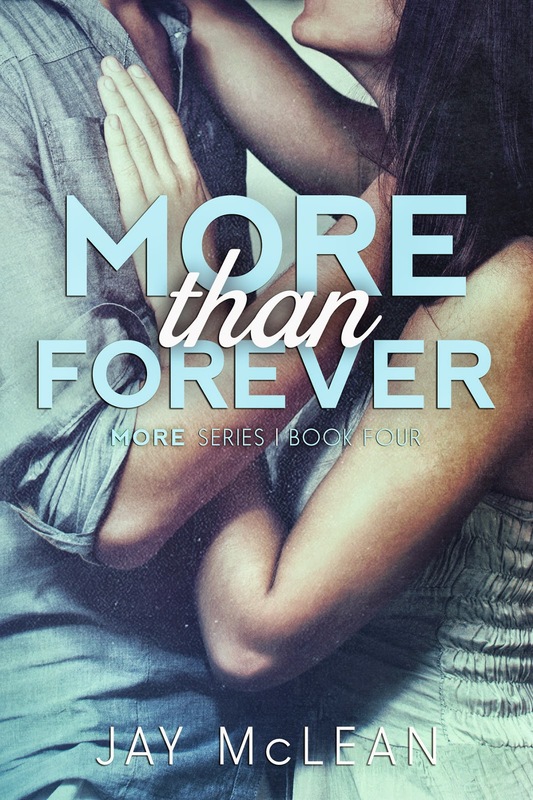 But sometimes you don’t get a choice, and all you get are the consequences.” “Being deeply loved by someone gives you strength, while loving someone deeply gives you courage.” Unless that someone is Logan Matthews. Because loving him didn’t give me the strength to walk away. 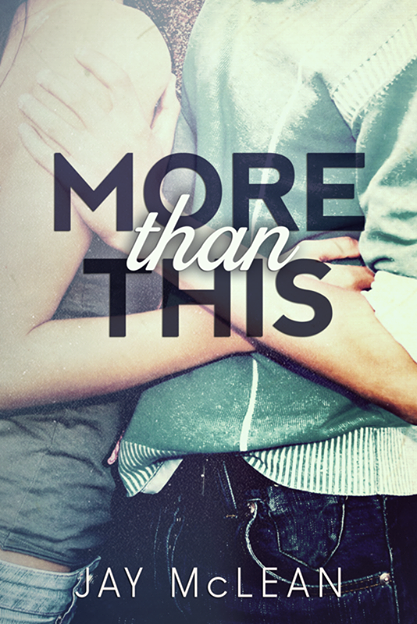 It didn’t give me the courage to fight for him. And when it was over, all it gave me was a broken heart. 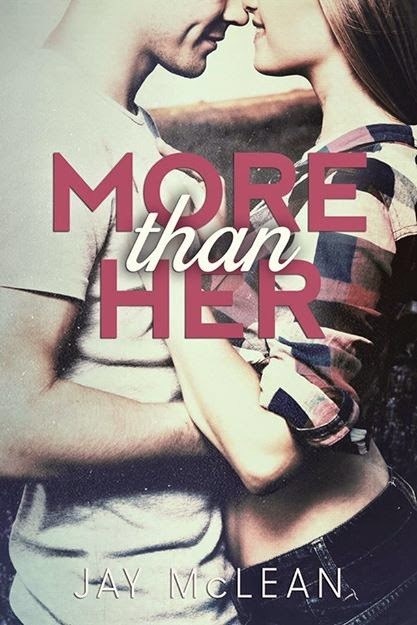 Jay McLean is the author of the More Than Series, including More Than This, More Than Her, More Than Him and More Than Forever. 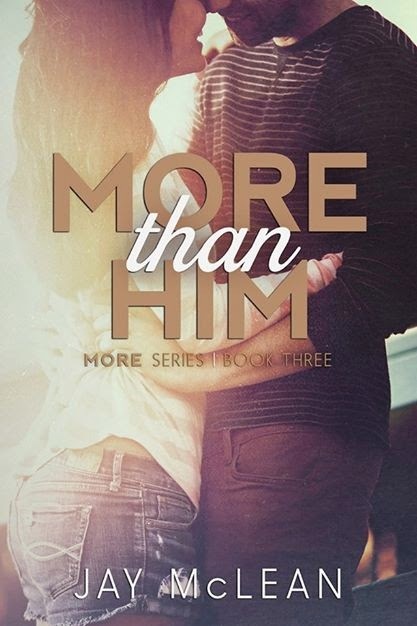 She also has a standalone titled Where the Road Takes Me, and serial series titled Boy Toy Chronicles. Jay is an avid reader, writer, and most of all, procrastinator. 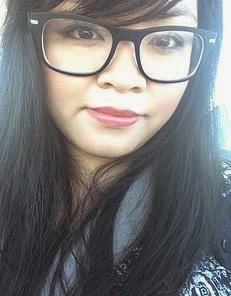 When she’s not doing any of those things, she can be found running after her two little boys, or devouring some tacky reality TV show. 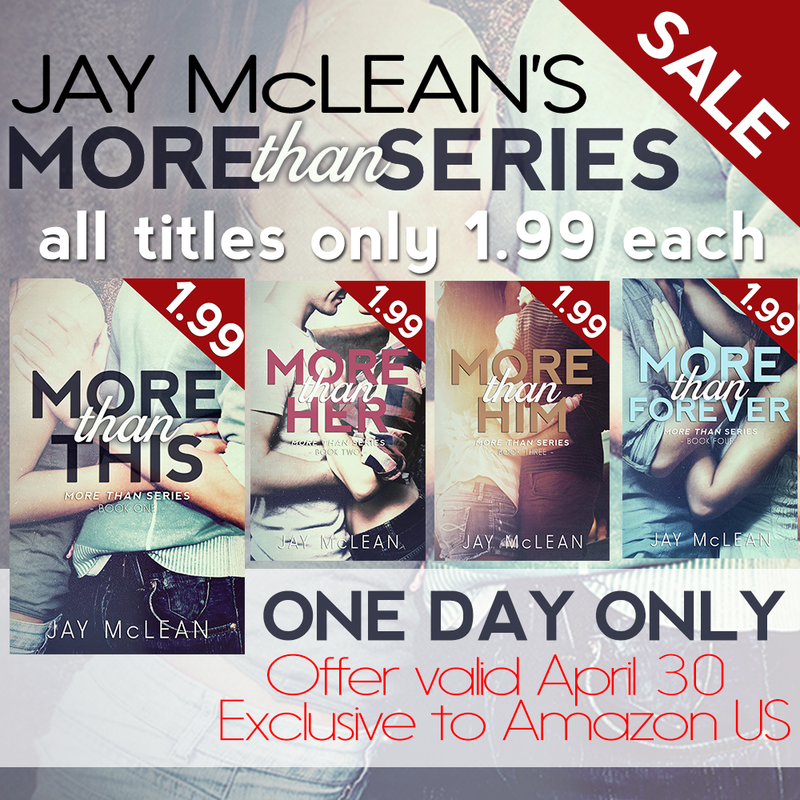 Posted on April 30, 2015, in Sale Blitz and tagged Jay McLean, More Than Forever, More Than Her, More Than Him, More Than Series, More Than This, Sale. Bookmark the permalink. Leave a comment.